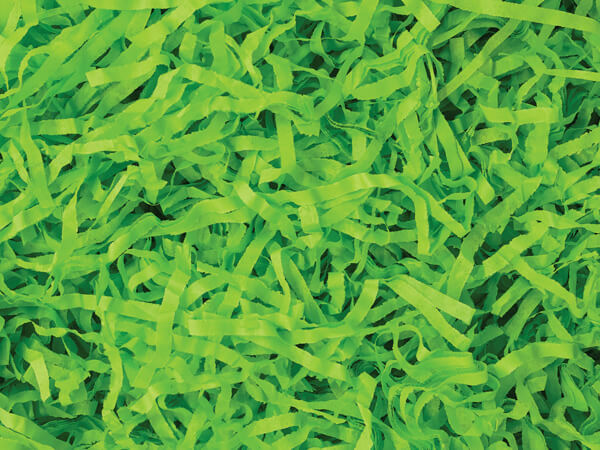 Bright Lime Tissue Shred in a 1 lb bag ~ Actual shred size is approximately 1/4" Green Way ® Eco-Friendly Packaging. Tissue paper shreds are an inexpensive way to fill Easter Baskets and gift bags and boxes! Made in the USA.